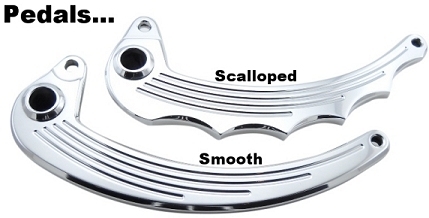 This is a polished aluminum forward control kit for all third generation Honda Magnas (1994-2003). 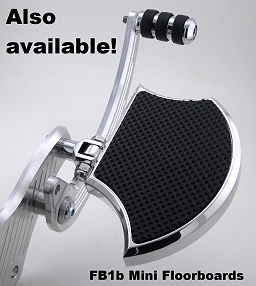 It uses your existing brake and shifter pedals which reduces the cost of the kit OR upgrade to the matching billet pedals. The kit comes with everything you see here that is needed to extend your controls forward 10" except foot pegs. They mount on existing bolt locations on your motor mount. No need to drill any holes, this is a 1 hour bolt on project. You will get detailed instructions with pictures to make this an easy project for the do-it-yourselfer. 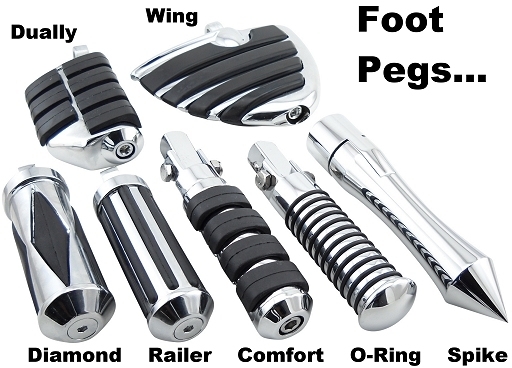 This kit does NOT come with footpegs or shifter and brake pedals, it uses your stock shifter and brake pedals and almost any aftermarket footpegs with a 3/8" or 1/2" stud mount. FC1 shown here WITH OPTIONAL Brake and Shifter pedals installed. The standard kit uses your stock Brake and Shifter pedals. As you can see from the pictures below they are comfortable if you are 5'-6" or 6'-1".